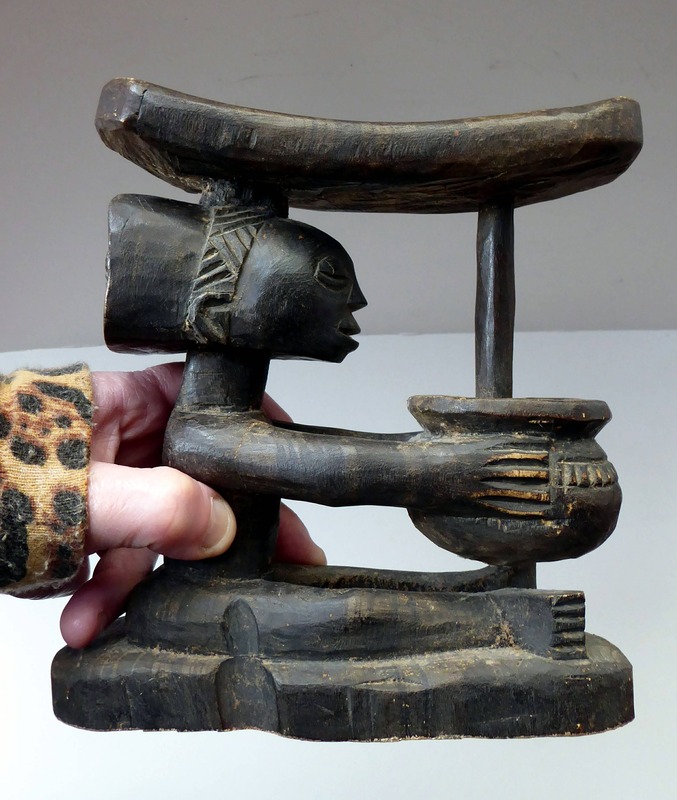 This is a vintage 20th century fine carved wood headrest - which was made by a member of the Luba (Baluba) tribe. 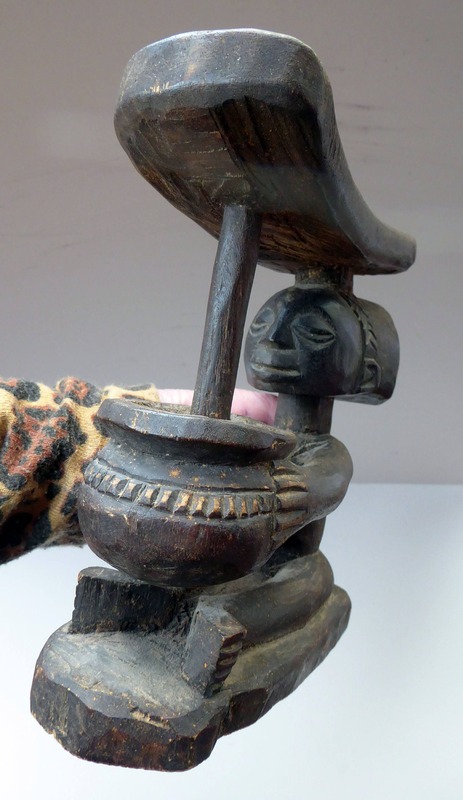 The Luba peoples occupy a land of rivers and savanna in the southeast of what is today the Democratic Republic of Congo. 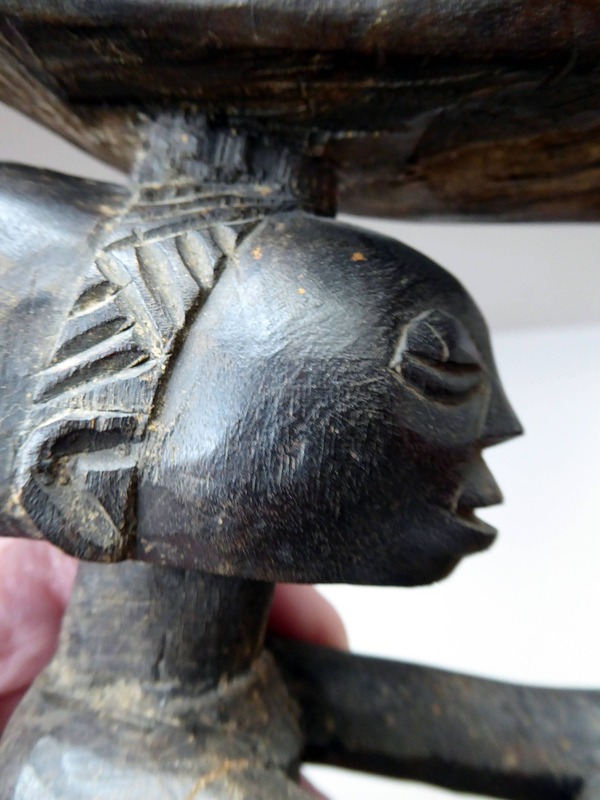 The Baluba people believed that their ancestors could communicate with them through dreams, thus headrests were sometimes called ‘seats of dreams’. 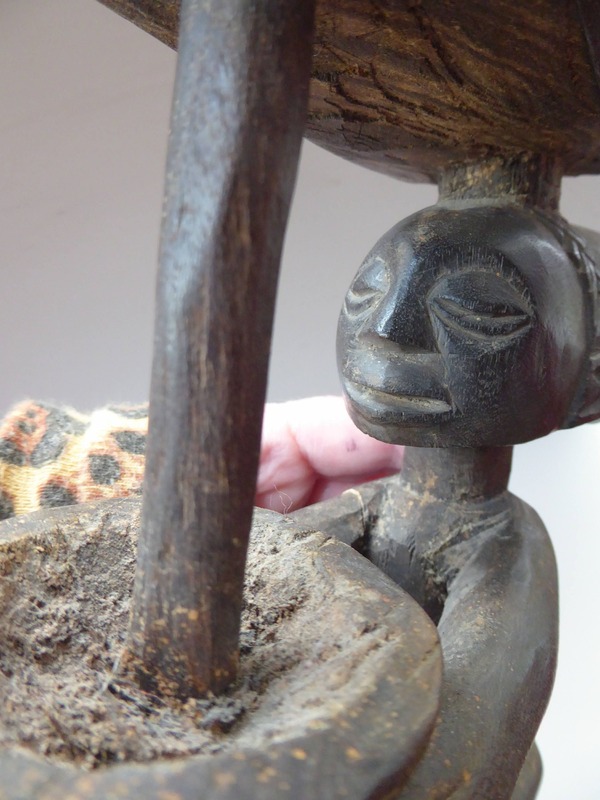 These elevated headsrests not only elevated the head of its owner when resting - but also kept the very elaborate coiffures which were common with the Luba protected from being ruffled with they were sleeping. The intricate hairstyles served as the visual representation of their wearer’s social status, age, rank, and gender. Carved headrests were brought with the owner everywhere they went so they could be used whenever required and in the case of men were often worn on their belt. 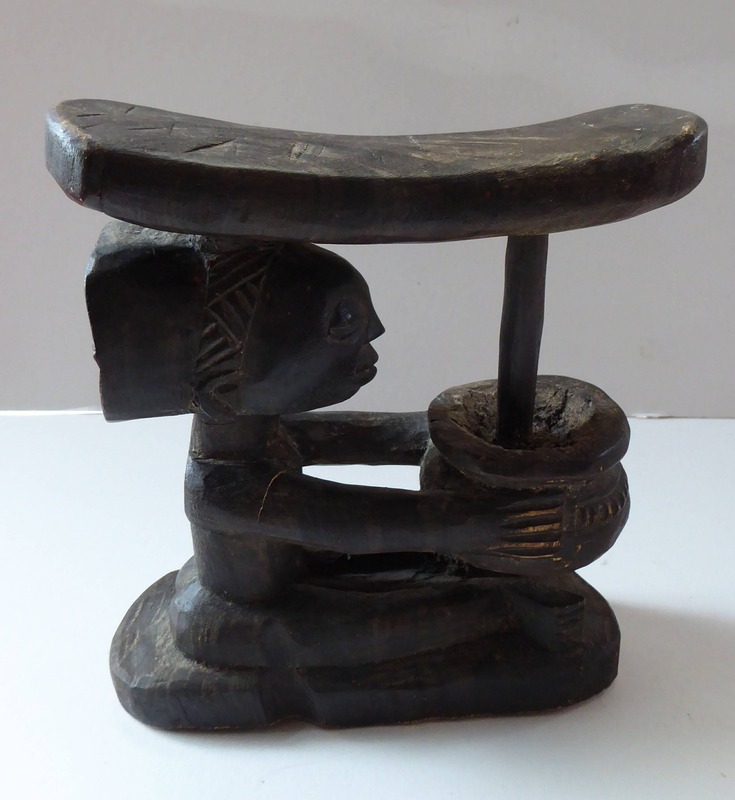 This is an unusual headrest with shows a woman threshing corn in a large bowl in front of her. It is in lovely vintage condition with no damages.